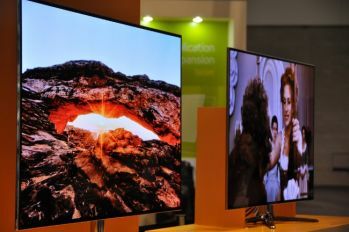 Samsung said that they have lost two OLED TV sets during their shipment to the IFA 2012 show in Germany last week. The company filed an official complaint to the German police. Samsung wouldn't comment further, but it may be that this is a case of industrial espionage. After all just two months ago 11 people were charged of stealing OLED TV technology from Samsung to LG Display, and a month earlier the Korean police started investigating another case of OLED technology leakage - this time by Israeli company Orbotech's local Korean branch. Samsung had a large presence at IFA, with plenty of OLED TVs at their booth, so the missing two units didn't do much harm on the tradeshow itself. The company plans to start mass producing those TVs in the fourth quarter of 2012.